IT strategies that have reaped benefits include the city’s exceptional open data platform, which receives data sets from every city department. In addition, Los Angeles has rolled out various data visualizations, dashboards and storytelling tools to ensure data can impact city policies and practices, whether they have to do with sound finances or clean streets. Reinforcing the city’s dedication to data is its Data Science Federation, a partnership between city departments and 18 local universities, engaging hundreds of faculty and students to tackle a wide variety of analytic challenges, including predictive tools aimed at the city’s housing problem. Los Angeles also sees wireless as the future and is committed to replacing most of its wired infrastructure with wireless. Investments in mobile technology prove that the city is dedicated to providing all of its citizen services anytime and anywhere on a mobile device. Other examples of innovation include third-party data sharing to increase the range and variety of resident services, and the use of new technologies, such as artificially intelligent voice assistants. To reduce its risk as a connected community, the city has implemented a robust cybersecurity framework, which includes an event management system that can monitor 1 billion data records daily from a single platform. The city’s overall security program has been nationally recognized for its exceptional protection of city data, certainly one of its most valuable assets. 2nd City of San Diego, Calif.
San Diego’s Department of Information Technology has undertaken a number of initiatives with the overarching goal of improving the quality of life for its residents through technology. And while some of the department’s efforts — like the cybersecurity awareness training for all 11,000 city employees — are more felt than seen, they all tie back to keeping the city running as effectively and efficiently as possible. But this mission is not without challenges: Traffic congestion, homelessness and the commitment to rigorous climate action goals are just some of the areas where technology is being put to the test. When it comes to accessibility for residents, staff has invested in creating online portals and applications that are both aesthetically pleasing and easy to use. A prime example is the MyWaterEasy app, which allows residents to not only pay their water bill, but also to make donations toward the payment of other residents’ bills. Open data and transparency have also been key priorities, and efforts here have earned the city an ISO 37120 Platinum certification. When it comes to cybersecurity, some 2.5 million attacks per month have pushed the IT staff to move toward single sign-on, awareness training across the board and partnerships with a large cross-section of private, local, state and federal partners. In efforts to become a smarter, safer place to live, the city is in the process of deploying 3,200 smart streetlights to improve traffic and pedestrian safety, monitor air quality and optimize parking. The savings from this project will be an estimated $2.8 million in energy costs each year. The data pulled from this sensor network will ultimately tie into efforts to refine parking meter rates. A commitment to working smarter not harder is also evident in the city’s efforts to coordinate fiber-optic installation with ongoing water and sewer pipe replacement, so they don’t duplicate digging efforts and unnecessarily disrupt the community. San Diego has also put substantial energy into building partnerships. One such example is the two-way data-sharing agreement with Waze that is helping the traveling public and the city make better decisions to reduce congestion. 3rd City of Louisville, Ky.
Louisville continues its strong push toward the top of the Digital Cities Survey, coming in two places ahead of its 2017 finish. This year, the Department of Information Technology (DoIT) and the Office of Civic Innovation (OCI) worked with leadership on the city’s 20-year plan to make sure technology is addressed, and were sure to include resident input, which is in line with Louisville’s strong digital inclusion efforts. To address the digital divide, DoIT and OCI are working to get low-income residents signed up for low-cost Internet, adding Wi-Fi hot spots throughout the city, and building more than 100 miles of new fiber-optic backbone for smart city technologies. Louisville's goal is to be a truly smart city by the end of 2022, and also has plans to build a new smart transportation corridor over the next couple of years. Louisville acknowledges that to be useful, open data must make sense to more people than just data scientists, and this year hosted its first internal hackathon using data from Waze, which introduced more people to what can be done with open data sets. The Open Government Coalition is a new program that brings together private- and public-sector groups to create and maintain cloud initiatives for multiple cities, paid for by private-sector partners. In a second project, more than 80 governments can use Waze data for traffic analysis and more. The city has an impressive array of civic engagement offerings, including an ever-evolving website and 131 social media accounts, and this fall launched a new online portal for citizen reporting. In terms of cybersecurity, Louisville has adopted a hybrid cloud approach that gives staff protections outside of just the premises of city buildings, and in a single month identified and blocked more than 9 million threats. And in an aggressive move to solve IT workforce issues, DoIT added a position to the agency dedicated to working on recruitment, retention and training. 4th City and County of Denver, Colo. The combined government of the city and county of Denver ranks fourth among large cities, with a population around 700,000. Much of that population — about 100,000 — has moved to Denver within the last seven years. The significant influx of new residents has put a strain on the city’s ability to deliver services with the same number of staff. A forward-thinking technology program with an emphasis on innovation is at the heart of the city's efforts to bridge the gap. Denver is on the leading edge of data use, reporting the recent deployment of an Enterprise Data Management (EDM) system, which it points to as foundational for smart city efforts. The system collects real-time information on weather, environmental health, transportation and freight, giving the city baseline data it can use to test tech-driven innovations. More than half of Denver’s organization-wide applications are now in the cloud, made possible by recent investments in platforms from Microsoft, Workday, Accela and Salesforce. And those investments were made possible by Denver’s creation of a dedicated funding stream for technology innovations — a practice some jurisdictions are starting to embrace. 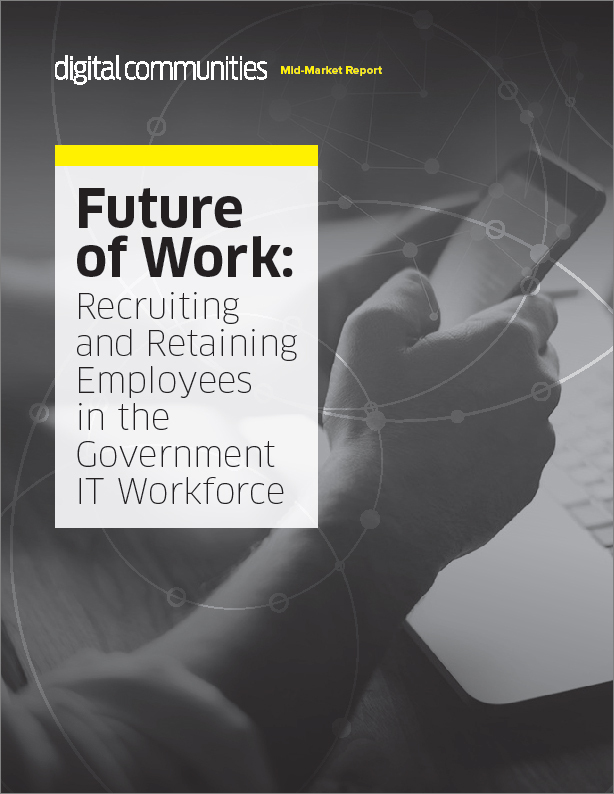 Many elements of the workforce can now do their jobs from the field, saving the time and expense of more manual workflows, while expanding digital access to citizen services provides residents and business owners the same conveniences. 5th City of Charlotte, N.C.
Charlotte’s Innovation and Technology Department has brought a data-focused mindset to many initiatives. One example are the North End Smart District projects, which have incorporated citizen feedback into efforts to improve the northern part of the city. Residents have lowered utility bills using weatherization and smart home technology, while the city has gathered data from those efforts to demonstrate cost savings. The Office of Data and Analytics has improved its open data portal by increasing the number of data sets from 48 to 121, creating a function that allows departments to tell stories using their data; and, it has set up 15 peer-led training courses for other city employees to learn how to use data. The city’s IT staff has built a dynamic, smart cybersecurity paradigm. Artificial intelligence engines scan traffic for threats in ways that used to require staff. An outside vendor will perform audits, compliance checks and penetration tests regularly. Charlotte is currently working on a system that allows employees to apply for, check the compliance of and complete firewall exemption requests on their own using automated workflows. Another effort underway is to set up geographically dispersed servers to render denial-of-service attacks ineffective. The IT Department has done good work supporting public safety functions as well. It’s involved in a six-county interoperable radio network for public safety offices as well as other local government agencies and is working on text-to-911 as the first phase of a Next-Generation 911 project. Another effort will make it easier for police to access various agencies’ video systems for crime investigations. A pilot with HAAS Alert notifies drivers through Waze when a fire truck is responding to an emergency nearby. 6th City of Boston, Mass. Massachusetts’ state capital and largest city has a reputation for engaging the public with available data and focusing on digital equity. This year, the city of more than 685,000 rose into sixth place for continuing to deliver on data analytics and connecting residents to modernized infrastructure and processes. Boston responds to all feedback received, is upgrading its popular 311 system, and is creating a mobile-responsive version of its website so users will no longer need an app. The Mayor’s Office of New Urban Mechanics facilitates smart city developments and partnerships. The Citywide Analytics Team has added two data sets focused on Vision Zero fatalities and crash information to Analyze Boston, its open data portal, which hosts more than 140 data sets and maps. The transportation department will use them to mitigate accidents. Boston’s quest for digital equity, which saw the city award one $35,000 grant this fiscal year, will more than double during the next fiscal year with an additional $100,000 for grants. In a special partnership, Internet provider Starry, the city’s housing authority, and the Department of Innovation and Technology are collaborating on a pilot to provide free and low-cost Internet to public housing communities. Via its small cell license program, the city is overseeing installation of small cell infrastructure in a process aimed at ensuring 4G and future 5G deliveries meet connectivity needs. Three years ago, DoIT hired an IT procurement lead and a talent acquisition manager who have increased DoIT’s competitive procurements by more than half, lowered its procurement life cycle by one week and enabled work with more than 150 new vendors — without expanding its capital budget. The city also recently hired a cybersecurity liaison to work with municipalities in the Metro Boston Homeland Security Region. 6th City of San Jose, Calif.
San Jose advanced two spots this year, moving from eight place up to sixth place in the 500,000 or more population category. Larger cities like San Jose tend to have a great potential for innovation, and San Jose has certainly seemed to make good on that, making great use of initiatives such as the My San Jose website and app, which went live in July 2017; residents can now use them to request and track city services. A wide variety of smart city projects, branded under the mayor’s San Jose Smart City Vision, represent an ambitious drive to become the nation’s most innovative city by 2020. What’s perhaps most impressive, however, is that San Jose has successfully worked to reduce staff vacancies, doing so in what is arguably one of the most competitive regions to recruit and retain tech and innovation talent, with private-sector companies offering big salaries to draw tech workers to nearby Palo Alto and San Francisco. San Jose has also undertaken efforts to better equip itself for the future, collaborating with telecommunications companies to prepare for the wide-spread advent of 5G connectivity. Meanwhile, open data trends have recently demanded that cities do more than just release open data, with storytelling also coming into fashion. San Jose is addressing this by converting its open data approach to data journalism, which puts an emphasis on using its open data to tell community stories. This continues to manifest in work such as the San Jose Police Use of Force Data Analysis, among other portals. These efforts seem likely to soon accelerate with an RFP for a new San Jose data portal currently being awarded. San Jose’s AI-driven content search is also a forward-thinking piece of work. 7th City of Phoenix, Ariz.
During his time as mayor of Phoenix, Greg Stanton pushed the city toward a more diversified economy with a focus on jobs in the innovation and skills-based economy, with long-term goals centered around reducing homelessness, transforming transportation and creating more business development. Information Technology Services, along with other city departments, has launched key technology projects to work toward these goals. In 2017, Phoenix launched PHX C.A.R.E.S. (Community Action Response Engagement Services), a Web portal that provides information related to homelessness, including statistics, services and opportunities to help. The Phoenix Transportation Department has invested $37 million in a computer-aided dispatch (CAD) and automatic vehicle location system to make transit services more efficient and increase capacity while reducing congestion, fossil fuel use and air pollution. A pilot program has equipped 18 buses with the new system, with a wider rollout to occur at the end of 2018. ITS worked with the city’s Economic Development Department to identify “Phoenix Opportunity Zones,” which provide business incentives in the form of tax breaks when investing in low-income areas. To engage youth in technology career fields, the city launched a tech education initiative known as CodePHX, a free program focused on coding, robotics and 3-D modeling. ITS worked to set up computer stations at 12 locations, as well as offer technical support. To improve interactions with residents, ITS has deployed an open data portal that includes campaign finance information, and it has set up the Phoenix at Your Service (PAYS) portal, which allows residents to report neighborhood blight or street conditions, as well as request city services. 8th City of Albuquerque, N.M.
Mayor Tim Keller has a vision for an innovative community in Albuquerque, among other qualities, and recognizes the importance of technology in achieving that end. The police department is installing digital kiosks and hardened desktops in its stations that will allow citizens to submit reports online, improving their access to law enforcement services. The city also recently recorded new internal training videos for employees on cybersecurity and phishing awareness. The former has been viewed just over 1,000 times, while the latter has hit 1,648 views since they were uploaded in March. Prior to the 2017 election, Albuquerque implemented an online portal for near-real-time voting information on things like polling location hours and wait times. Where2Vote proved popular and was used again in 2018, getting one hit for every two votes on Election Day. Also in 2017, the city launched its One ABQ app, which inputs residents’ 311 service requests directly into the customer relationship management (CRM) application. It can also link users to other mobile applications and send them notifications directly from the city. To improve citizen engagement, the city updated and enhanced access to its open data portal through a partnership with OpenGov. The city sees this move as an important part of its larger transparency efforts. Beginning this year, the city plans to work with a local vendor to enhance its open data offerings and make data visualizations a staple of life in Albuquerque. 8th City of Las Vegas, Nev.
Las Vegas has set its sights on becoming a “smart” city with an innovation district, online portals, apps and other tech-based initiatives touching most of the city’s operations. In April, the city laid out six priorities for its strategic plan and indicated IT would have a hand in them all: 1) Iconic Las Vegas, for preserving and promoting memorable places, which will require communication infrastructure, kiosks and wayfinding technologies; 2) workforce development, which will involve the promotion of tech-based programs in higher education as well as ConnectHome, an attempt to provide those in need with a tablet and cell connection to look for jobs; 3) Smart Vegas (see below); 4) serving at-risk populations, aided by a GOVegas mobile app which has a “homeless” feature to connect those in need with services; 5) revitalization of at-risk neighborhoods, requiring infrastructure for public safety, mobility and connectivity; and 6) public safety, which will be aided by IoT-based cameras for surveillance and noise detection. The third pillar among these, Smart Vegas, is a broad attempt to implement new tech in areas of public safety, economic growth, mobility, education, social benefit and health care. The city established an innovation district for new ideas and infrastructure, supported by public-private partnerships that encompass a driverless shuttle, IoT sensors and networking, more Wi-Fi networks, alternative fuel charging stations, smart metering for streetlights, new video and audio systems for crime detection and prevention, air quality monitoring and a mobile app for parking. Las Vegas also became the 25th member of the Smart Gigabit Communities program in March 2018, requiring it to develop two gigabit applications or services per year that use advanced technology to solve issues. Tackling cybersecurity, in the past year the city replaced its anti-virus tool with an endpoint protection product that uses machine learning rather than signatures, installed an email gateway that uses machine learning to identify unsafe attachments, and doubled the number of devices being monitored by its security provider. For transparency and accessibility, Las Vegas built its new website on a new cloud platform and is working on an online portal through which it could proactively release all publishable city data. 9th City of Chicago, Ill.
Chicago holds more than 600 data sets in its open data portal, which includes information on transportation (e.g., bike racks, towed vehicles and red-light camera violations); service requests (e.g., potholes reported, potholes patched, vacant buildings, tree trimming); and education (e.g., public school report cards, monthly Wi-Fi usage at public libraries, and locations for Connect Chicago, a network of Internet access and digital skills training). The portal receives more than 80,000 monthly visits. Chicago has spent the last year developing the OpenGrid for Smart Cities interactive map display of city data in real time. There is a mobile app version, and it offers 311 service request information, data on issued building and film permits, and restaurant inspection information. The city’s Open311 system is being redesigned to be more interactive than ever. It will let residents text in service requests, attach photos and track their requests. In addition to the traditional phone interactive voice response system, users can soon opt for text messaging; social media; community portal with knowledge base; Web-based portal; or a redesigned mobile app. The system also allows city aldermen to check on citizen requests for work in their districts, keeping them more in touch with residents’ concerns. In 2018, the city plans to replace more than 450 Chicago Public Library public access computers and open six new library branches. Additionally, residents can check out laptops and Wi-Fi hot spots from libraries, helping them learn digital skills with accessible resources. This year, Chicago launched CityKey, an optional, valid, government-issued ID card that encourages resident engagement with city resources. Initially CityKey served as a government-issued ID, Ventra (public transit payment) card and library card. The card was originally created to reduce barriers to those who have difficulty accessing government-issued identification, but now includes discounts and other benefits for all of Chicago’s 2.7 million residents. Four primary objectives drive the technology needs of Dallas — citizen-centric, smart platform, data-centric, and security and privacy — and are the essential building blocks that align with the city’s priorities: public safety, human and social needs, mobility solutions, infrastructure and sustainability, government performance, financial management, quality of life and economic vitality. To support its objectives, the city uses an open data portal and a big data platform to provide access to data anytime, anywhere and to foster trust as well as enable evidence-based decision-making. The Dallas Data Ecosystem was implemented in 2017 and connects information from more than 250 applications and systems into a common, unified platform. It allows the city to make intelligent decisions and share data for analysis. Dallas is implementing a Fire Risk Predictive Model that is data-centric (and also uses the big data platform), to provide a risk assessment index and fire inspection prioritization interactive map that shows building locations that might contribute to fire risk. In its commitment to “service first” excellence, Dallas focused, over the last year, on simplifying the end user’s experience with city services. It implemented a responsive version of its website to give citizens access from any device where they can view details about the city’s performance and interact with a dashboard — Dallas 365 — that shows residents the ways the city is committed to service first. The dashboard also tracks progress on 35 performance measures of its strategic priorities.